ALREADY KNOW YOUR NEXT DESTINATION? The ´Red Town Hall` is known in German as “Rotes Rathaus”. 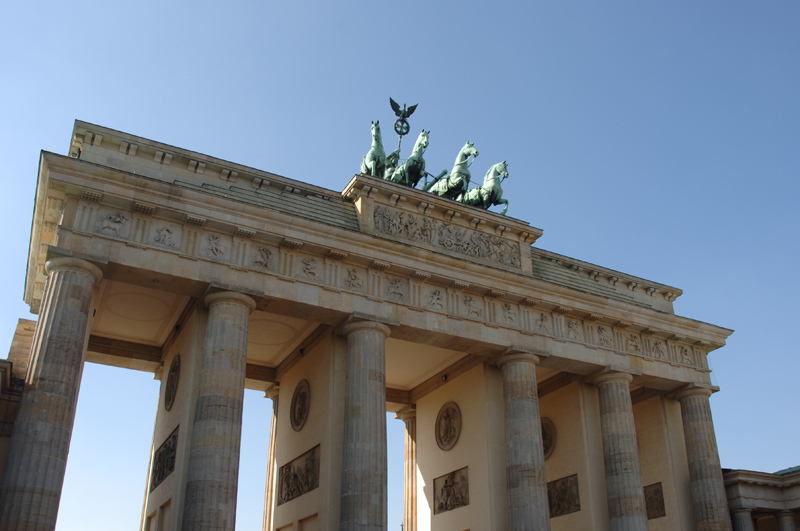 It gets its name from the red bricks that make up its structure, although the name also refers to the colour connected to the Soviet regime that once controlled part of Berlin. This neo-renaissance style building is the headquarters of the town council and Senate of Berlin. It was built between 1861 and 1869 by the architect Hermann Friedrich Waesemann, and had to be rebuilt from scratch between 1951 and 1956. It has the air of a fortress and is comprised of four sections grouped around three courtyards. What calls for special attention is the 36 plaque frieze, shown from a series of facades, each one measuring almost 100 metres in length, which represents scenes from Berlin’s history up to the year 1871. Rotes Rathaus’ square-sided tower measures 74 metres and can be seen from many points of the city. The two bronze statues near the main entrance pay homage to those who helped rebuild the city after the Second World War. One of them commemorates the ´Trummerfrauen`, the cleaning women who helped clear up the tonnes and tonnes of rubbish, while the other statue portrays a building worker involved in the city’s reconstruction. If you plan on visiting the building’s interior, make sure you come first thing in the morning during the week, which is when some of its rooms are open to the public. 5% OFF when buying your tickets. UPLOAD PICTURES to personalize your own guide. RATE all the different points of interest. You’ll be updated with all our news!